Luckily, there are quick fixes. Newsflash: Thinning hair is not a male-specific problem. Plenty of women experience hair fall-out due to genetics, environmental factors, and even the way in which they style their hair. So—you're not alone! Along with expert global stylists from haircare brand Éprouvage, we brainstormed the most common things we do every day that lead to breakage, and a ton of easy alternatives for each one. Consider your bad habits officially broken. Bad habit: You always part your hair in the same place. 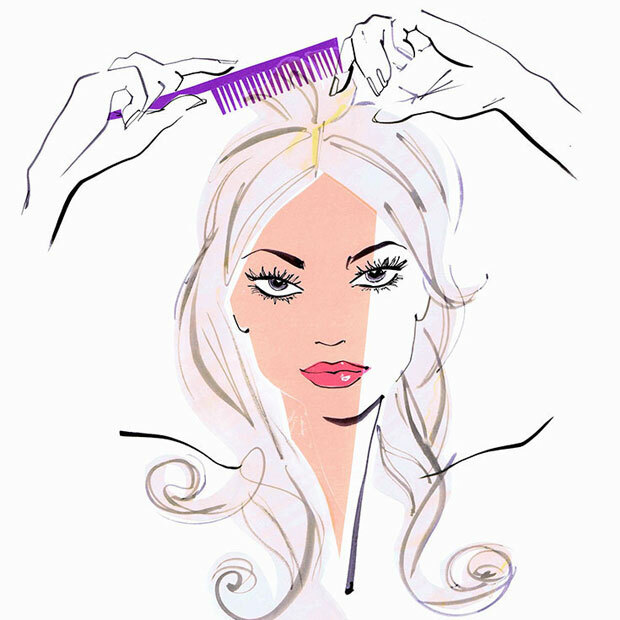 Quick fix: This will cause hair loss or weakness at the part line, or even recession. Our hairline can be a very weak area, so repetitive stresses like constant brushing or even running fingers through the hair in the same place can be detrimental. Donnie Vasey, a global stylist for Éprouvage suggests, "Begin to wear your hair parted one way, until that first 'bad hair day.' When it's greasy, limp, or you're just not feeling it—flip your part and add add Éprouvage Thickening & Plumping Spray ($18; ulta.com) to your normal hair-care routine. You will find a whole new world of volume and body, and won't get as much breakage or fall out." Say goodbye to pesky fly-aways! Bad habit: You wear your hair in a ponytail at the gym. 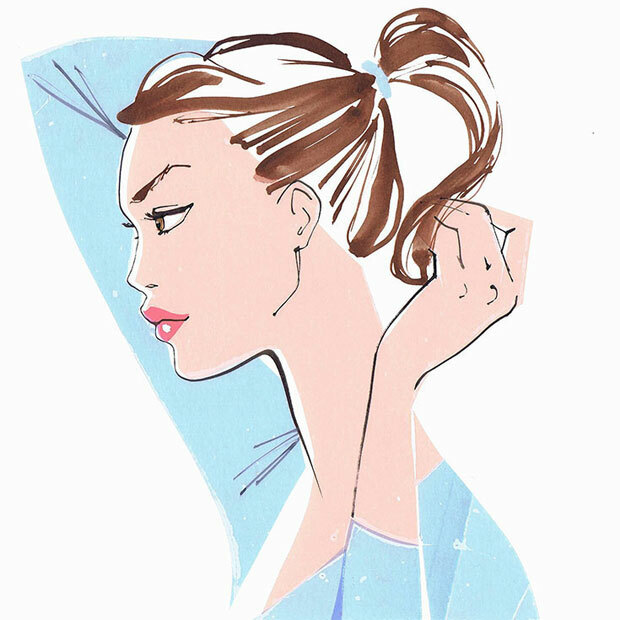 Quick fix: Yes, ponytails are quick and easy, but can often cause more harm than good. Éprouvage global stylist Anna Lylesexplains, "Take a few more seconds to put your hair into a loose braid and tie off at the end with an Emi Jay Hair Tie ($11; emijay.com), rather than wearing a super-tight pony." The loose style and soft, stretchy elastic will significantly reduce pulling at the hair follicle, which causes unnecessary hair loss. Bad habit: You hold the blow dryer too close to the brush when blow-drying your hair. 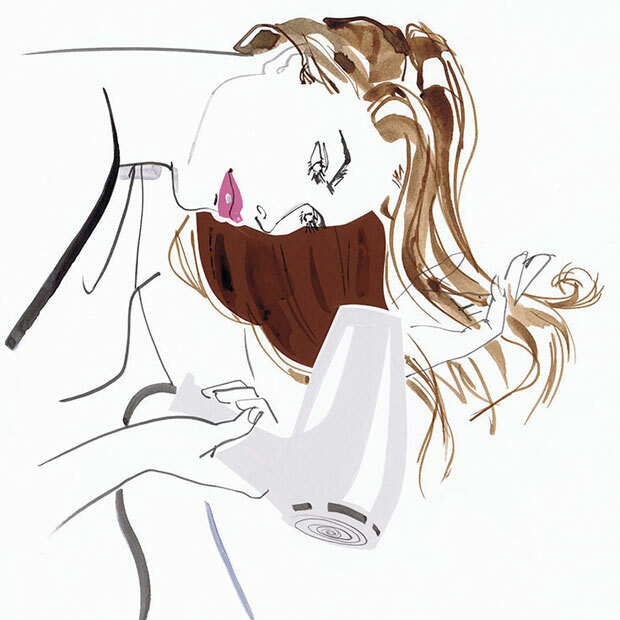 Quick fix: Always keep your hairdryer an inch or two away from your hair and the brush. The tension, along with heat from the dryer, causes weak hairs to break and fall out. Éprouvage global stylist Sam Lavella describes the proper steps: "Begin blow-drying your hair using your fingers, and direct the air flow from your scalp out through your ends until it's about 80 percent dry. Then, you can bring styling brushes into play, but be sure to the dryer far enough away to prevent damage." Additionally, it's important to apply a protectant spray beforehand—try Shu Uemura Blow Dry Multi-Tasking Primer ($33; shuuemuraartofhair-usa.com)—and strengthen your hair overtime by adding Kérastase Fusio-Dose ($18, kerastase-usa.com), which offers a tailor-made solution based on your hair concerns, to your weekly haircare regimen.